Summer is in full swing now, the lake is full, garden is growing, expecting house guest, the cottage is all a buzz. 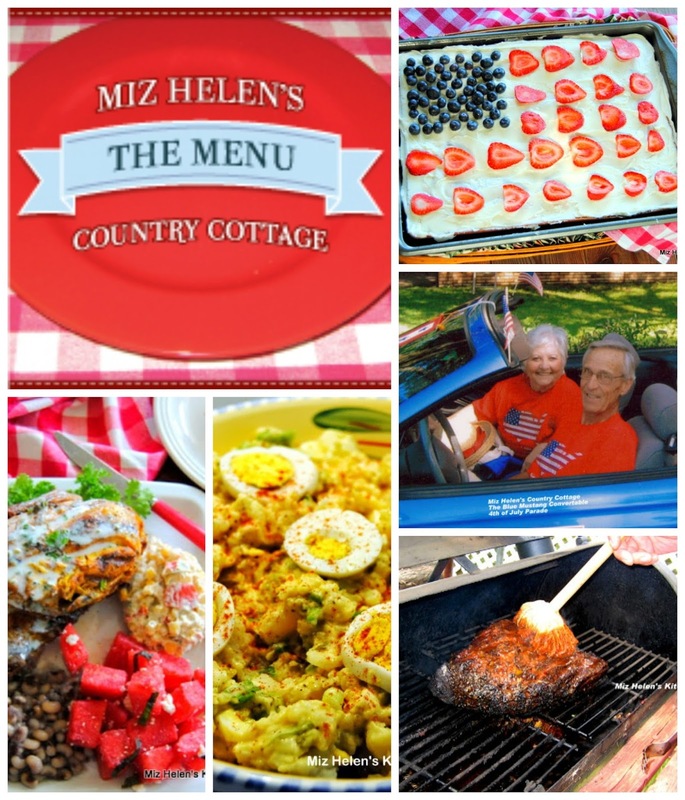 Our meal plan this week will include the 4th of July Picnic, always lots of great food and fun. We are picking out paint colors for The Cottage and will begin the painting process very soon, can't wait for the final touches, maybe I will share them with you. Come on back to the porch lets sit and have some Iced Tea and plan this menu. Thanks so much for stopping by to share some time with us today. If you have a big weekend of celebrations, have a great 4th of July and stay safe. Have a fantastic week and come back to see us real soon! Love your photos!! You look great! I'm ready for the brisket, Miz Helen. Fresh summer time food is the best. Have a great weekend and a super 4th. Oh yum! So I'm gonna just come to your house this week, ;-) because your cooking up something delicious everyday! Have a wonderful weekend! All looks great as usual! Thank you so much for linking up at Tasty Tuesday! This post has been pinned on the Tasty Tuesday Pinterest board! I love having you and can't wait to see you next week!